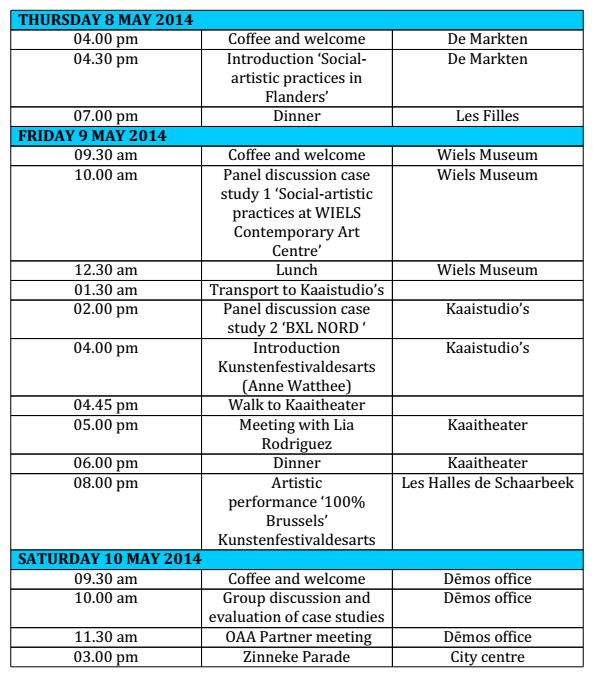 Demos serves as the focal point for research and socio-artistic practice in Flanders. We encourage socio-artistic processes in the broadest sense. Socio-artistic practice is for Demos real access to cultural participation of disadvantaged groups and diversity in the cultural sector and the arts. Because the right to culture is a fundamental basic right for everyone. Interculturalism remains an appeal to the sectors of culture, youth and sports to constructively deal with the ethnic and cultural diversity in our society. Interculturalism is at Demos about dynamics, rather than cores or fixed things. Demos advocated the recognition and appreciation of the role of culture in the community life of ethnic groups and put in an active and reciprocal process of encounter and dialogue. To promote a diverse, sustainable and active participation of disadvantaged groups in culture, youth and sports, the Flemish government subsidizes annual projects that manage those groups to lead to cultural, youth work or sporting activities. Using an innovative concept Initiatives to address those disadvantaged are eligible. Tackling poverty is also a task for the local level. The Flemish government is encouraging municipalities to build for the disadvantaged group of people in poverty. A dynamic policy at local level Therefore, the Flemish government is deliberately using the Participation in the creation of local networks. These networks have the task of participation barriers for people in poverty in the fields of culture, youth and sports work. The participation decree, the Flemish government's ability to launch that participation in culture, youth and sports from a specific theme or for a specific audience-centered. Annually or more calls for proposals for pilot projects Organizations that focus on this project calls can rely on demos for assistance in the field of vision development and unlocking their knowledge.